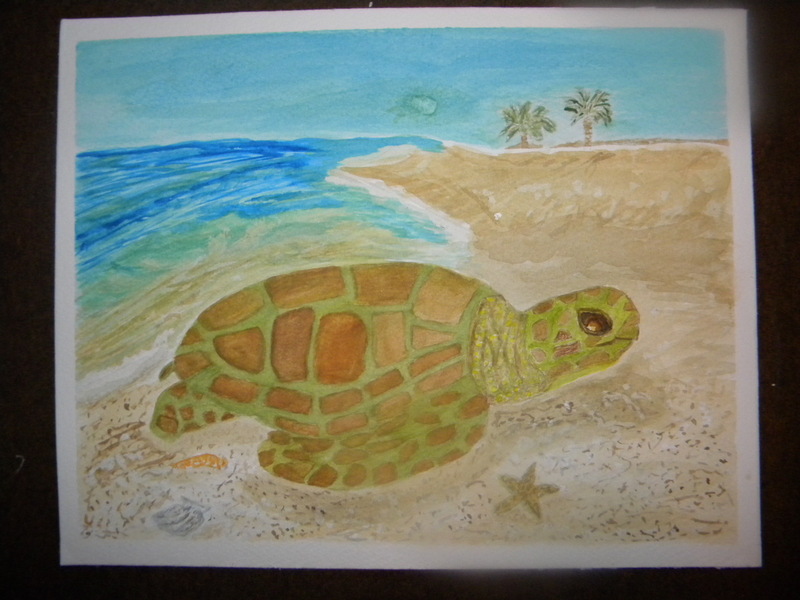 Posted on January 18, 2014, in Art Talk, Watercolor Paintings and tagged painting, Sea turtle, watercolor, watercolor painting. Bookmark the permalink. 6 Comments. I have the most enjoyment from my creativity when I use my imagination. When I place what items I want to in a picture because it just feels “right” being there. Do you paint from photographs? I do all the time, but I change the foreground, middle-ground and background, often using my imagination or other photos for things in the scene. Yes, I do. I do that, too, but this one is sort of from my imagination, mostly!